2.5 Update is complete! Time to Celebrate the 2.5 Update with a new Event! 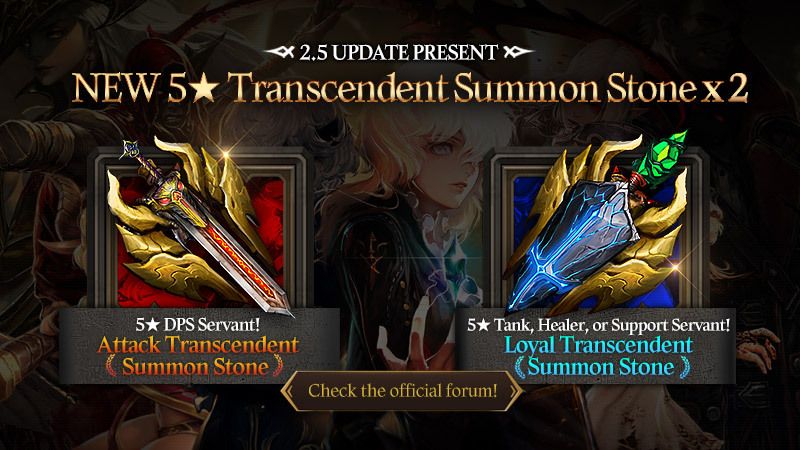 Log in and Receive 1 Attack Transcendent Summon Stone & 1 Defense Transcendent Summon Stone! Let's go summon new Servants!